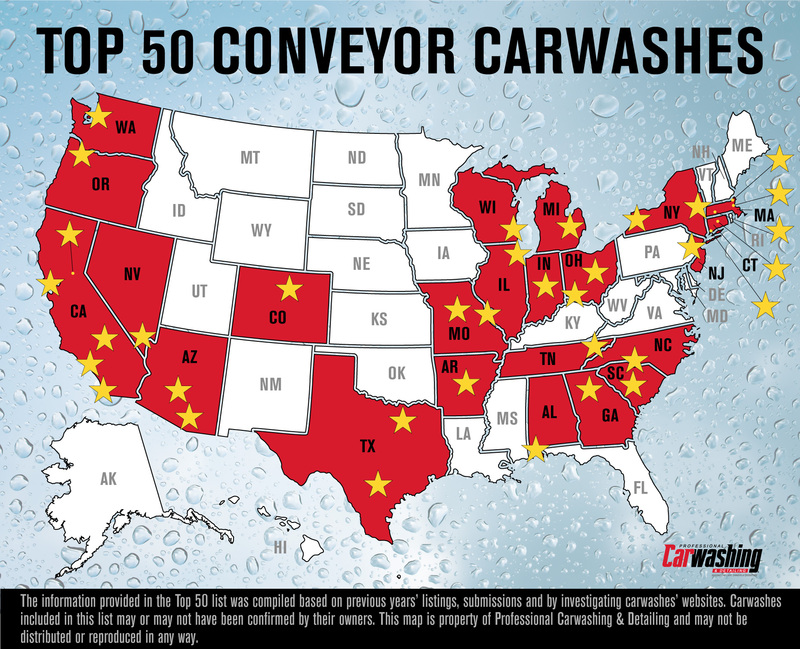 The Top 50 conveyor carwash map is a living document indicating where in the U.S. the headquarters of the Top 50 conveyor carwash chains are located. This interactive map is the only one of its kind in the industry. Hover over each of the stars to see both a photo of the greater metropolitan region where the headquarters are located as well as the associated information about the Top 50 conveyor carwash(es) located there. As we hear about changes in the number of locations, we will update the map accordingly. 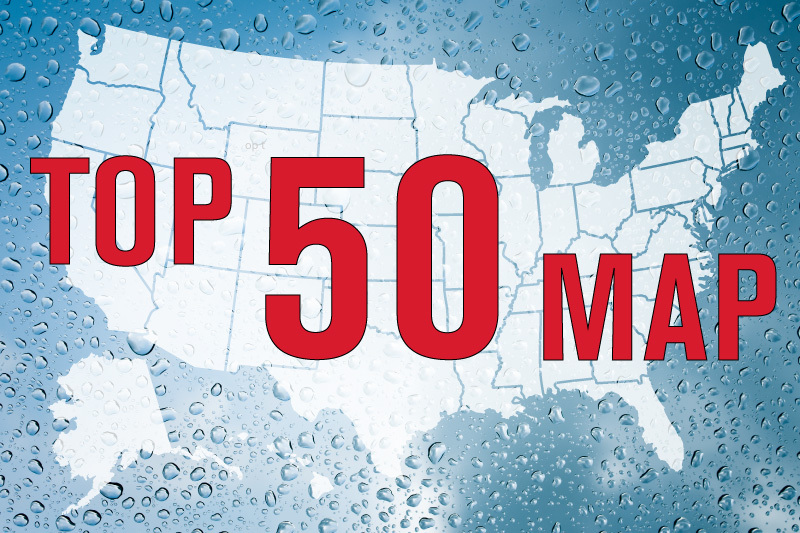 This map reflects the most up-to-date information regarding the Top 50 carwashes based on 2018’s list, news articles and press releases. If you have updated information that you would like us to include, please contact us today at [email protected].